Juniper mantel is 72″ long 9″ thick 9″ max shelf. 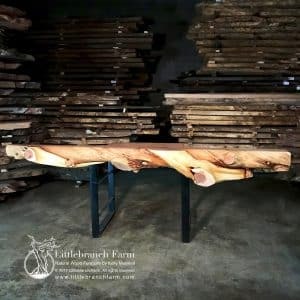 We have many other unfinished mantels available please contact us! Juniper rustic fireplace mantel features a unique twist with a natural bow in the log. Also, it has a milled with a flat back and top shelf. 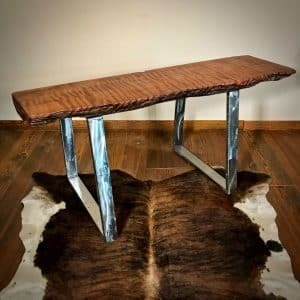 Although a juniper log rustic mantel is not for everyone it is compatible with many home decors and is a must-have. Also, rustic vanities and rustic log beds also built using twisted juniper logs. 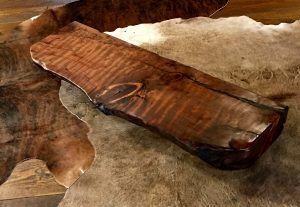 Our custom furniture designer hand selects each log to determine whether it is a rustic fireplace mantel or natural wood furniture. Juniper furniture is fresh yet complex. It also invites nature into your home decor. It has natural wood color tones of gray, tan, and cream.